Save now with EnviResin coupon codes! Bong, dab, pipe cleaning tools. 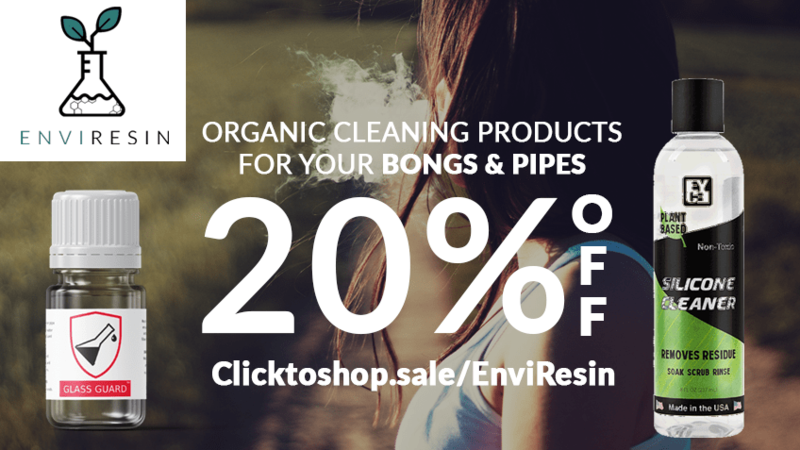 20% off any order, no minimums at EnviResin! Premium smoking cleaning products & resin guards. EnviResin products are all-natural cleaners that eliminate exposure to harmful chemicals. 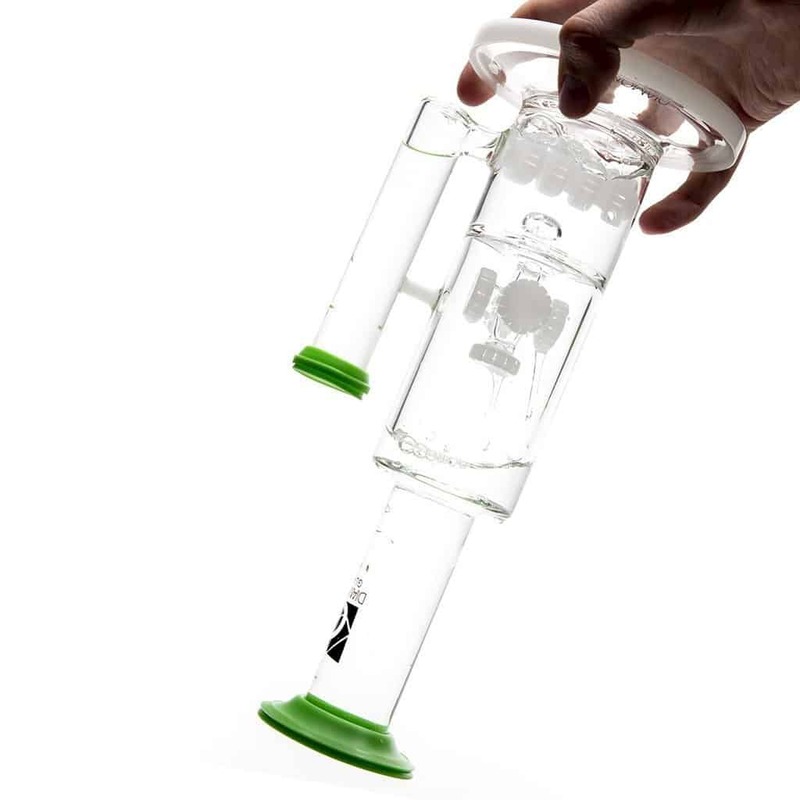 Bong Barrier™ Glass Guard filters and prevents resin from sticking to the surfaces of your glass. Save money now with EnviResin coupon codes! The solution is resolution. Res Caps are an essential for all of your cleaning, travelling, and storage needs. Magnetic Bong Scrubbers! 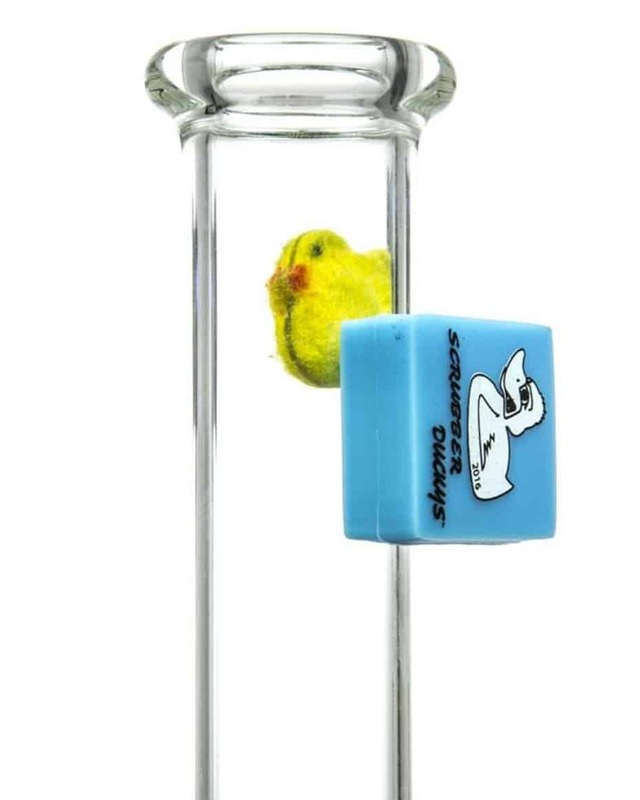 Drop a ducky into your bong and finally be able to reach those grimy spots you never could before by shaking your piece around with chemical cleaners. The conventional way of cleaning cannabis accessories can often do more harm than good. The use of isopropyl, boiling water, and abrasive salts to clean your cannabis equipment can introduce several health and environmental hazards that can wreak havoc over time. At EnviResin, we have a better alternative. Our natural, organic cleaning products have been scientifically engineered to thoroughly remove unwanted resin and tar buildup. Whether it be glass pipes, bongs, extraction tubes, dab rigs or fabric, EnviResin can cleanse it with ease. Our products don’t use harsh chemicals, are safe for the environment, and won’t cause any health issues. Every day we learn more about the toxicity of isopropyl alcohol and the dangers it presents to the environment. Every day millions of smokers use this poison to clean resin from their glass pieces! Save yourself and the world we love: Keep rubbing alcohol, acetone, and other volatile organic compounds out of your bong, dab rig or pipe! We carry only earth-friendly resin cleaners that we’ve tested ourselves for safety and effectiveness. If we wouldn’t use it to clean our own, personal pieces, we won’t sell it to you! Use one of our cleaners below and start getting the most out of your smoke. Ever wish you could find everything you needed to clean your smoking device in one place? So did we; and then we did something about it! EnviResin has gathered everything you need to make your bong, rig or pipe squeaky-clean. Don’t ever suffer the foul taste and stench of a dirty bubbler, recycler, bong or rig again. Use our res caps with a non-toxic cleaner to shake the resin out of your bong fast. How do you clean the bottom of your water pipe? Use our reusable magnetic scrubbers. And make those stubborn spots sparkle with Resin Rags or Pipe Stix by Higher Standards. Buy them all and keep your pipe clean for years! You finally got your water pipe clean! It looks just like it did when you first bought it: A spotless, bong or dab rig with crystal clear water that sparkles and projects slivers of rainbows throughout the room! The bad news? This pipe was made for smoking. As soon as you use it, it’s going to be dirty again. You don’t need to scrub your water pipe every day to keep it looking gorgeous. Resin guards prevent resin from building up on your bong, recycler, or bubbler by surrounding and neutralizing the microscopic particles of tar and keeping them in the pipe’s water. Simply change your bong water as usual, and the resin will rinse out easily. Get a resin guard and keep your glass, acrylic or silicone water pipe clean for months! All of our products are safe for both you and the environment. Nature produces our cannabis, it just makes sense to also clean our cannabis accessories and equipment using products derived from nature. As the alternative industry grows, more and more people every day may be subjecting themselves and the environment to harmful practices. 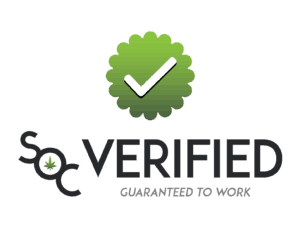 EnviResin specializes in offering cannabis cleaners and tools that are eco-friendly, effective, and non-toxic. Cannabis is used because of its distinctive taste and its positive medical effects, but these benefits are minimized when pipes and bongs aren’t cleaned properly, or when harmful chemicals like isopropyl (rubbing alcohol) are used. 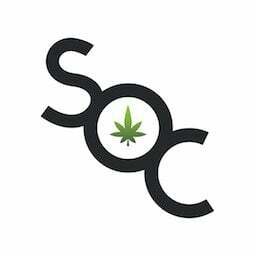 Our products can thoroughly clean your pipes, bongs, dab rigs, extraction tubes, and even clothing without the use of harsh solvents or ingredients. Our cleaners use pure ingredients that can aggressively clean different surfaces while maintaining the integrity of your cannabis device. Resin and tar debris can devastate your health if your cannabis device is not properly cleaned. Our cleaners and tools can get your device to appear and smell brand new. Our products were carefully crafted in a lab and were engineered to quickly and efficiently clean multiple surfaces and materials. It’s not an exaggeration to state that we have the most reliable and convenient cleaners on the market. Chemicals like isopropyl can damage your health and your cannabis device. Isopropyl is a harsh, abrasive chemical that can wear down your bong or pipe, and it can cause a flurry of respiratory problems if it’s consistently inhaled. None of the products offered by EnviResin include isopropyl or any other harsh chemical, making it a safe and painless process to clean your cannabis devices. Our products contain none of the hazardous ingredients of other commercial or homemade cleaners. All our cleaners are low in VOCs (volatile organic compounds), which means that they’re safe for you and the environment. Chemicals like alcohol and acetone have a high flash point—making them extremely flammable and dangerous to use. Our cleaners have an extremely low flash point—making them simple and safe to use. Our products are for cannabis connoisseurs who want to preserve their health, increase the longevity of their cannabis equipment, and care for the environment. We believe in creating better experiences for our customers—whether it be from making the ordering process a breeze or offering the best products to suit their needs.